Use these comprehension teacher’s books, along with the linked pupil workbooks, to help children understand what they read and hear. The content includes summarising texts, predicting, scanning for meaning, interpreting characters and much more. 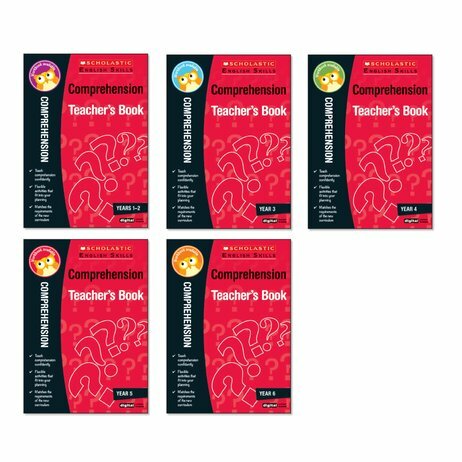 This pack contains one copy of all five comprehension teacher’s books for Years 1-6.